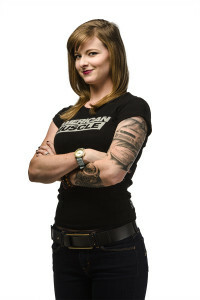 You only need to speak with AmericanMuscle’s video co-host Stephanie Wood for a moment to understand just how passionate she is about her job and cars—which in this case is one in the same. While some people are described as “wearing their heart on their sleeve,” Stephanie wears her passion for cars on her sleeve, figuratively and literally; she is your traditional gearhead who enjoys wrenching on her cars, having a clean Foxbody, and of course, doing burnouts. Over the past few years, Stephanie has become a prominent voice and face in AmericanMuscle’s videos, sharing her knowledge on products and insight on all things Mustang related. Stephanie has practically been a gearhead and car girl since birth— constantly reading and learning about cars and how they work. However her love of Mustang’s didn’t come to be until she got her first when she was a teenager. For car enthusiasts, there will always be that one memorable moment when you bought the first car you really wanted to own—not the car you bought because it made sense at the time, but the one that you wanted because it would be fun. When Stephanie was driving down a back road in Pennsylvania, she happened to stumble upon just that car at 17. The previous owner of her Foxbody, George, didn’t just teach her how to drive manual or do a burnout, but he was also her first introduction into racing. With the guidance of a seasoned expert, Stephanie went from ripping smokey burnouts on the street to heating up her tires in the burnout box at the track and running down the quarter-mile. After making more than a few passes down the track her status as gearhead and car nut were forever solidified. Mustangs are similar to potato chips in the sense that you can never have just one. Over the course of her tenure as a licensed driver, Stephanie has owned 4 Mustangs to date and currently owns two Foxbodies (one of which is the same one she bought when she was only 17) along with a few other vehicles. 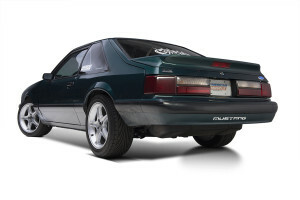 The ’90 Foxbody that was her first Mustang is more of her show car and has a 302 bored .30 over to make it a 306ci. It features a Vortech Supercharger, Forgestar Wheels, and a set of coil-overs to round out its show and go appearance and performance. The other Fox, a naturally aspirated ’91 with drag radials and a Z crate Ford Racing motor, is Stephanie’s race car. What many people do not realize about Stephanie is that her video hosting is only part of what she does at AmericanMuscle. 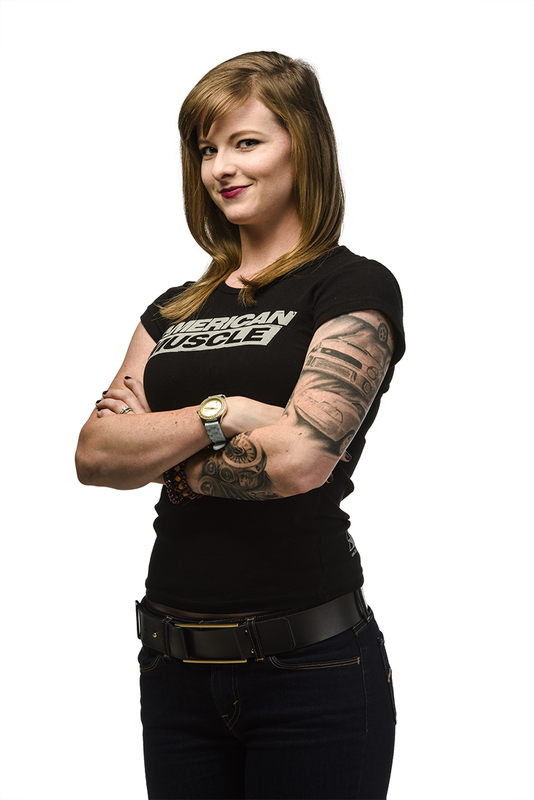 When she isn’t in the limelight of the AmericanMuscle video studio, Stephanie works in the Merchandising Department, helping to deliver enthusiasts some of the best parts available. Stephanie’s passion and knowledge of cars as well as her love for the community that goes with it has helped her to excel on an off of the camera; it is something that is impossible to fake and even harder to hide. 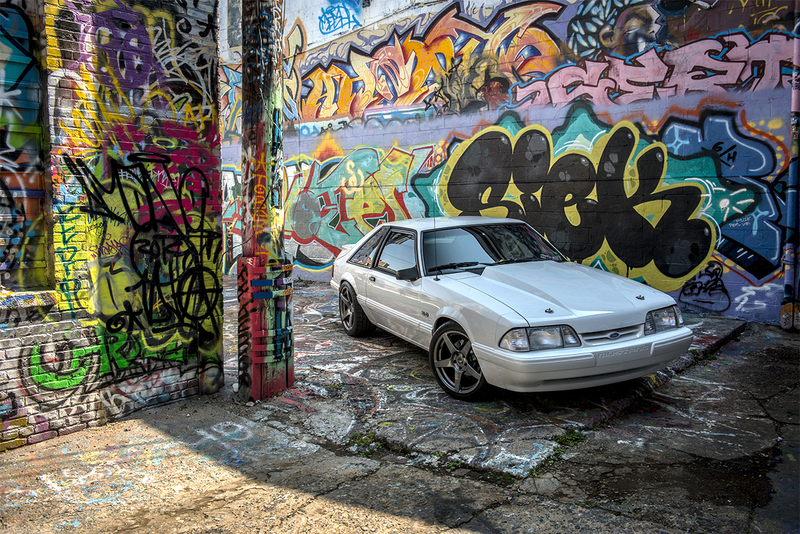 Have you registered your white Foxbody? I think lm in Love!